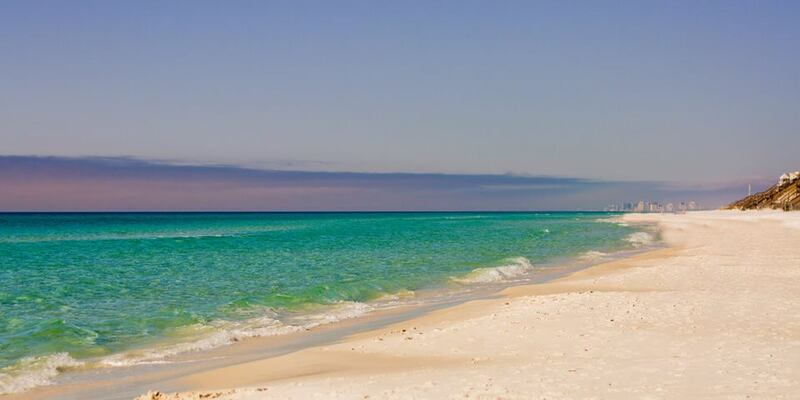 There’s a reason many people refer to South Walton as a “getaway” instead of simply as a “vacation.” It’s because the sugar-white sand, turquoise water, and welcoming beach neighborhoods offer a mental and physical escape from day-to-day life outside of South Walton. Here is your chance to truly own a piece of paradise! Click on each link below to view the amazing homes for sale in each of the 16 very special South Walton communities. Cozy beach cottages mix with modern homes in this old-meets-new beach neighborhood; sweeping sand dunes shape the landscape in a memorable way. Rosemary Beach is full of charm that draws visitors back again and again — which is just one reason why this beach neighborhood was named by CNN as one of America’s most romantic small towns. This easygoing beach neighborhood is the perfect place to escape for a beach getaway. Spend a day wandering through the shops and sights of Seacrest — you’ll spot everything from gorgeous dune lakes to gourmet restaurants. Then, unwind with a stroll along Seacrest’s sugar-white sand. This intimate beach neighborhood has everything you need for a perfect getaway — all located within walking distance. WaterSound is an enclosed, private paradise designed to help you escape, relax, and enjoy the natural beauty of South Walton. Best known for being the set of the movie “The Truman Show” with Jim Carrey, experience the breathtaking beauty of Seaside while you walk along its sugar-white sand; or, grab a seat at a restaurant patio for a perfect beach sunset view. Explore this beach neighborhood’s artistic side by visiting a local art studio or seeing the local theater troupe. This active, upbeat beach neighborhood boasts a beautiful landscape and stunning architecture shaped to complement the area’s natural features. Spend time relaxing on WaterColor’s sugar-white sand; then, treat yourself to some time in the boutique shops and luxurious spas of this beach neighborhood. With a neighborhood motto of “nice dogs, friendly folks,” it’s clear that Grayton Beach is a place that embraces the easygoing lifestyle. Retreat to this beach neighborhood and become a part of a welcoming, fun-loving community. Named after the area’s brilliant blue lupine flower, Blue Mountain is an unforgettable sight. Enjoy gorgeous views of turquoise water from the top of this beach neighborhood, which sits at a slight incline compared to the rest of South Walton. From cozy beach cottages to luxurious new homes, Blue Mountain offers a variety of accommodations for beach lovers to choose. For those whose perfect beach vacation includes a true resort experience, Sandestin offers the best of all worlds. Regardless of where you are in this welcoming, diverse neighborhood you’ll have no shortage of fun activities — from spas and nightlife to exhilarating water activities and championship golf courses. Sitting along a wide, scenic boulevard right along the Gulf, Miramar Beach is a hub of activity. Visit this beach neighborhood’s colorful shops and eclectic eateries! For more information on the amazing beaches and lifestyle of South Walton, Click Here!